Remember that ending scene from Back to the Future? Doc pulls into a driveway and fills his car tank with trash. Wouldn’t it be nice to generate power from waste? 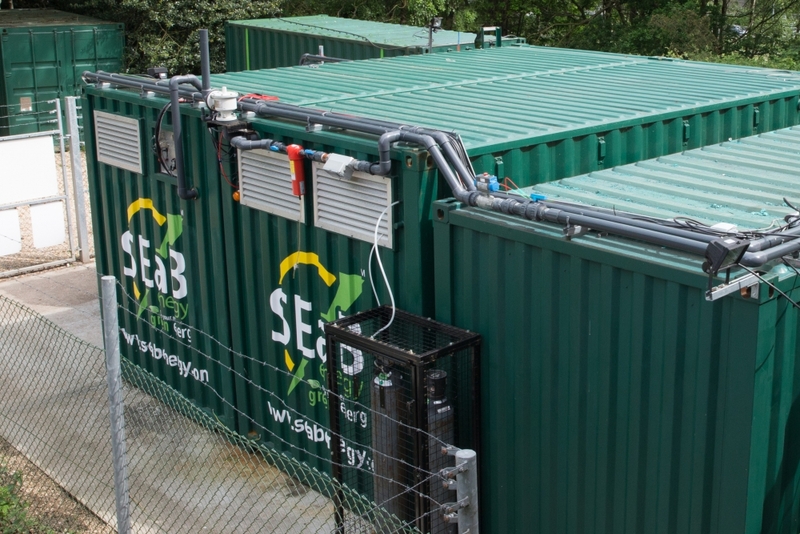 SEaB, a UK-based startup, has developed a solution that does precisely that: turning waste into energy through biogas. Waste is indeed a major challenge as it is one of the largest contributor to greenhouse gases. The figures are absolutely staggering: 1.3 billion tons of food are thrown away every year. In the US alone, 40% of the food produced never gets eaten! In a video from Vox’s Climate Lab, they outline that if food waste were a country, it would be the 3rd largest GHG emitter in the world, just behind China and the US. This entire system makes no sense, when considering that we’re polluting the planet to make food, which then gets wasted and contributes to GHG emissions. Obviously, reducing waste is a priority. But what can we possibly do with all that trash? SEaB might hold part of the answer. Their containerised units use a process called anaerobic digestion. According to the the American Biogas Council, anaerobic digestion is described as “a series of biological processes in which microorganisms break down biodegradable material in the absence of oxygen”. This process creates biogas, which is then turned into energy to fuel a combined heat and power (CHP) engine. To put it simply, you just throw your organic waste at one end of the container and Flexibuster turns it into energy. Unlike other power sources, waste has a big advantage: “If you look at wind and solar, they’re intermittent; they’re based around a resource that isn’t always there. Using waste, you’re tying [power] to the amount of waste available on the site. So your fuel source is constant; your output of energy can be consistent, constant and predictable” explained Sandra Sassow, CEO of SEaB, in an interview with Wired. Anaerobic Digestion is already a well known process. 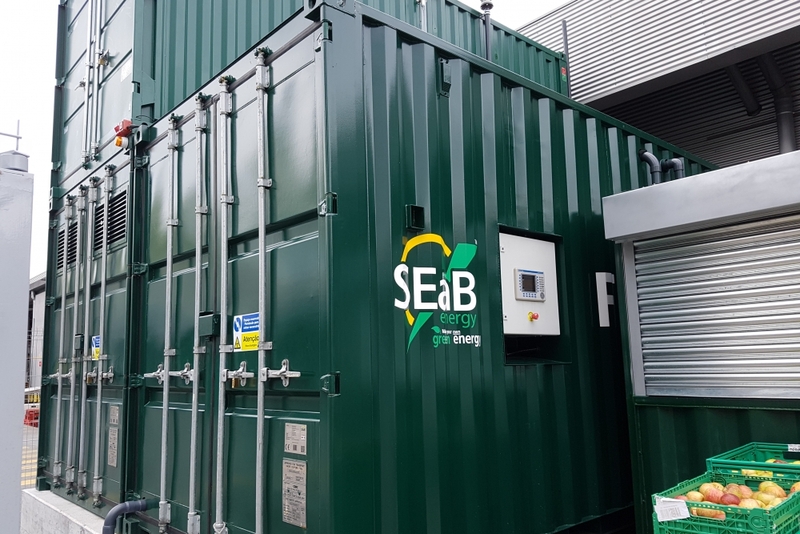 SEaB’s big innovation lies in their containerised unit. "The decentralized system is the big novelty of Flexibuster" says Sandra. Their shipping container is a plug-and-play solution installed on-site, fully automated and remotely monitored. It is rapid to install and needs very low maintenance. And, last but not least, it’s completely odour-free. Our clients include a corporate office building, a university campus, a large hospital and a military facility” says Sandra. By producing the energy through waste directly on site, the system avoids the pollution created by sending the waste to landfills, it avoids the use of fossil fuels, and helps users save money and achieve their sustainability goals. “After 6 years of R&D, we have now entered the full commercialisation phase. Our goal is to scale globally” explains Sandra. Previous article Guest Post : "Nature can help us tackle wastewater"
Next article Cleantech job opportunities from our Members!